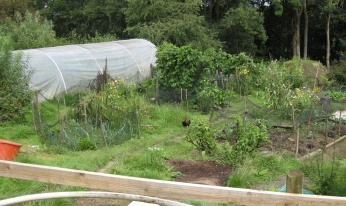 Through our Community Food Growing Forum, launched in partnership with Cockermouth Allotment Association, we have connected local people who want to contribute to producing more of their own food. We are supporting the development of several Community Gardens and private allotment projects and providing skills exchange through our Vegi-Buddy Network. Spadework is our Community Food Growing Group that meets on the second Wednesday of the month. A quiet revolution is unfolding in our gardens and allotments across the UK. The sales of flower seeds have been steadily falling, whereas sales of vegetable seeds are growing fast. People want healthy food that is free from pesticides and they enjoy the physical process and the pleasures of seeing the fruits of their labour as an antidote to the growing stresses of our fast moving culture. Everyone can get involved!